Days without an accident sign - Design Online! Why a Days without an accident sign is right for you. 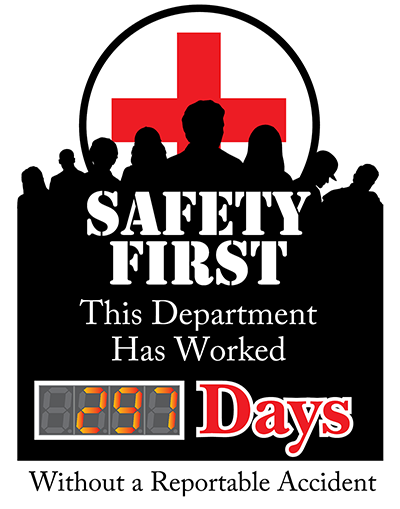 Providing a highly visible means of tracking the number of days your facility has gone without an injury or accident using a days without an accident sign is a critical piece of your overall safety awareness program. These signs are often refered to as Safety Scoreboards. 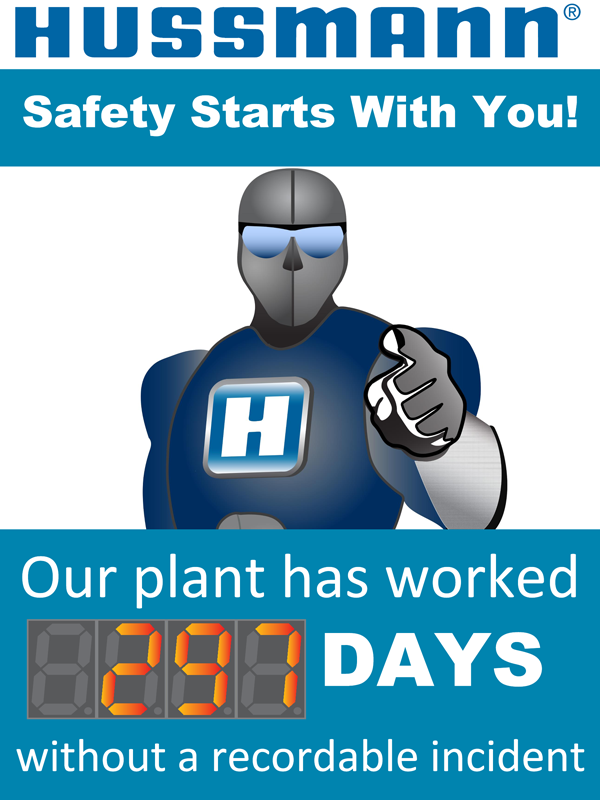 Placing a safety scoreboard to track your safety record in each high traffic area serves to promote safety consciousness as well as serving as a quick reference for your team members. A safety scoreboard with several displays can be even more motivating. 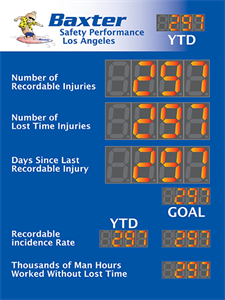 Adding a display for best previous record encourages your team to stay safe in order to achieve a new record. Adding a counter for each department will inspire even more competition, and with competition comes awareness! Our most common number displays are offered in 5 inch and 2.3 inch digit sizes but we have options that go up to 16 digits and can count up or down each second, minute, day or month. You don’t need to just count days. You can count safe man hours or count down to an event. We also offer multi color scrolling message boards that can display custom safety messages, and red/green/yellow stoplight safety scoreboard options that can help to notify your workforce of an incident or near miss. When combined these various display options produce incredible possibilities for communicating your safety message with a single custom safety scoreboard. Each of our signs is built to order in our facility here in the United States and tailored to your exact needs. Our online design tool allows you to choose a suitable display configuration and customize the text and graphics to your company or safety program needs. You may wish to label each counter with a department or team name, add your facilities location, insert your company branding or safety program logos and messages. Whatever you can dream up, we can produce. View our selection of affordable, high quality accident scoreboards below or create your own custom scoreboard using any of our existing designs as a starting point. To customize our signs simply select a sign that most closely resembles the sign you are looking for and click the "Select Design" button on the product page. Our online designer will let you change and move text and graphics as well as the placement of displays on the sign. Answers to commonly asked questions and instruction manuals can be found on our support page.